If you are looking for information on the Chyten Educational Services franchise business opportunity, Chyten Educational franchises or Chyten franchising, then you have come to the right place. If you are looking for a personally, professionally and financially rewarding career, then opening a Chyten Education Center is for you. The dramatic growth of the education industry has created new opportunities for thousands of individuals from diverse walks of life who have turned to education as a new career. Literally hundreds of thousands of discerning parents turn to private education providers year after year to help their children excel in school and gain an advantage in the ultra-competitive matriculation process. This never-ending, evolving client base and the desire for premium-level services make Chyten Education Centers a dynamic, exciting, lucrative and dependable career choice now and for years to come. 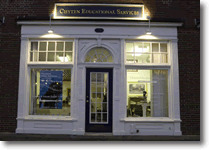 Chyten is the premier private education provider in the nation. With Master's degree tutors, highly effective, proprietary strategies, several published preparation manuals and a wide array of educational services, Chyten is unmatched in reputation and earnings potential. Chyten offers a boutique experience that has great appeal to parents who want the best for their children. With services ranging from college counseling to test preparation to academic tutoring and study skills, Chyten centers offer parents one-stop shopping for students of all ages. Chyten has a national sales and support staff firmly in place, and is poised for both fast growth and outstanding support. The entire staff at Chyten knows that our success depends on the success of its franchise owners and offers unequalled support from Company president Neil Chyten himself and his highly qualified and dedicated staff of experts. You don't need to be an educator to open a Chyten Center. If you have great interpersonal skills and enjoy working in a professional setting, you can run a successful education business - with Chyten's assistance. You'll be fully trained at our headquarters in Lexington MA. 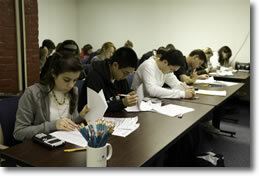 We will assist in the hiring and training of your tutors. Also, we will oversee the hiring of your center's college counselor, then will provide him/her with all the training and materials he/she needs to be a fully professional college counselor. We provide a full set of marketing materials and will help coordinate your grand opening. Please take a new look at the education industry with a fresh perspective, through the eyes of a parent. Then, you will truly understand the exciting opportunity that awaits you by partnering with a company that holds educational excellence as its primary business philosophy.